-The Van Horn Advocate | D.B. 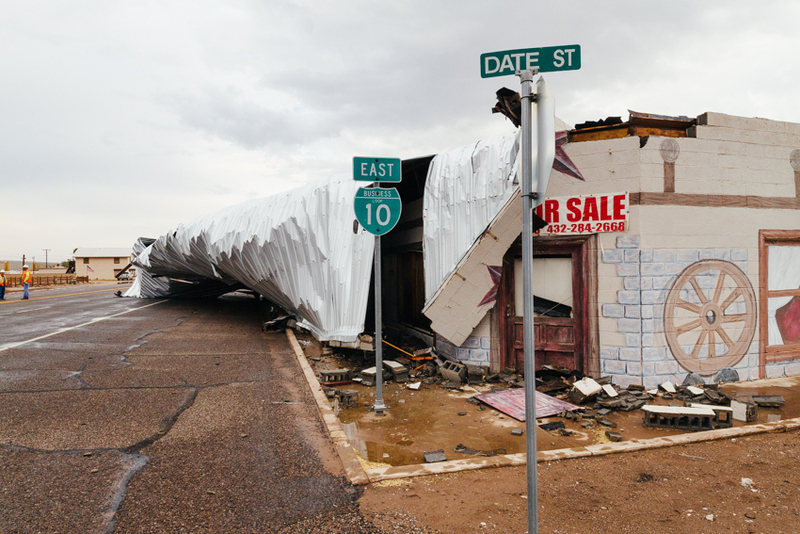 A thunderstorm last Saturday brought high winds, with over an inch of rain, stripping roofs off a couple of buildings and taking power lines and poles down east of El Capitan Hotel on Broadway Street. 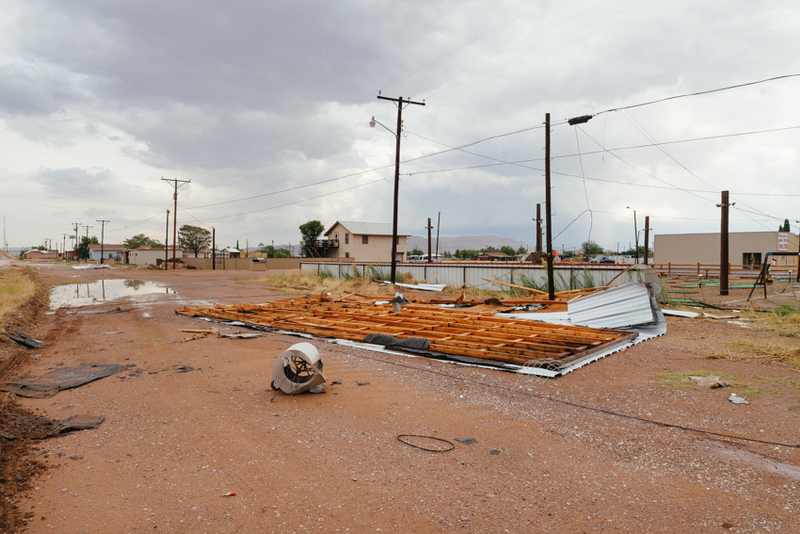 Severe storms with high winds caused damage in the downtown Van Horn area. TxDOT closed off a section of Broadway Street for several hours while crews cleaned up the scene. -The Van Horn Advocate | D.B. An ensuing power outage in Van Horn was reported at approximately 4:30 p.m. after El Paso Electric (EPE) received several calls about dim lights from residents. Additional calls of wires down were also reported. The outage lasted about 6 hours and was weather-related affecting a substation in the Sierra Blanca area that also serves Van Horn. Approximately 500 customers were affected. The Culberson County Sheriff’s Office also received a call about children seen in a rapidly filling arroyo north of Van Horn on Highway 54. Resources were dispatched, however, the children were not in distress but had been playing in the dangerous waters. They emerged from the arroyo and were promptly sent home.